In an increasingly technological world, it is essential to be literate in multiple forms of communication, particularly forms of New Media, Motion Graphics, Digital Imaging, Film/TV and Web design have changed the face of contemporary business and are now more accessible than ever. 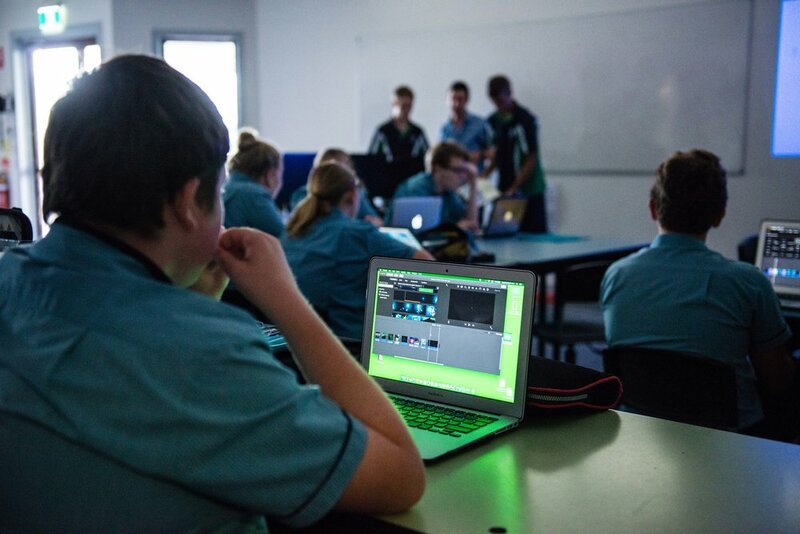 Whether the aim is to be artistic or functional, the Film, TV and New Media course aims to empower students to dominate the growing needs of a technological society. Student access to latest Abobe Creative Cloud suite ($17,000 site licence + recent upgrade to Trap Code motion graphics plugins for After Effects. 100% of student fees are dedicated to maintaining and upgrading Film & TV equipment. Full class sets of DSLR and HD video cameras, including jibs, dollies, tripods, Steadicam and studio lighting to complement cinema. College-managed YouTube Channel - 2.5 million views to date.